During the 1930’s Europe was inching steadily towards war. The fascist states of Germany and Italy were in the process of expanding their empires. Stalinist Russia was in lock-down. The western democracies were in danger and the path to war seemed unstoppable. In Ireland, Eamon de Valera had been gradually removing all vestiges of British imperialism from the Irish Free State and had introduced a new constitution for the country which was now officially Éire, a Gaelic word meaning Ireland. The country was to all extents and purposes now an independent republic rather than a commonwealth dominion. When de Valera stopped the payments of land annuities to Britain, there was retaliatory imposition of duties on Irish imports to Britain. By 1939 however, the animosity between Ireland and Britain had cooled down to such an extent that the British gave back the so called “treaty ports” of Lough Swilly, Berehaven and Cobh along with the oil storage facilities at Rathmullan and Haulbowline. Just as De Valera was pulling Ireland away from British influence he was also in the process of isolating Ireland from other foreign influences. His party, Fianna Fáil had never gone down the path of fascism as had many in the pro-treaty parties. To all extents and purposes, de Valera was an isolationist, and a protectionist in that his Ireland was one of home and church (Catholic), trapped in a traditionalist and mythic Gaelic past. It was an idealistic vision of Ireland and one that had many adherents. In approaching the outbreak of World War II, it must be accepted that British excesses during the war of independence of 1919-1922 were still very strong in the nation’s memory. The fact that Ireland was partitioned was also an open sore; however it was one that de Valera was willing to put up with in the meantime. In the event, the day after Britain declared war on Germany, de Valera made it clear that Ireland would not be coerced into taking sides by either the Allied powers or the Axis powers. Ireland would be neutral and in this he was supported by the vast majority of Irish people. He did however recognise that a neutral country could also be invaded and in view of that he agreed that if the Nazis did invade British troops would be invited in to help repel the invaders. De Valera’s neutrality was not an absolute. He allowed Irishmen to freely join the Allied armies and up to 40,000 did along with many thousands of northern Catholics. Another 200,000 civilians crossed over to Britain to work in the mines and factories. Many were also conscripted into the British forces. German prisoners in Éire, rescued seamen, pilots etc were imprisoned whereas British and Americans were allowed to cross into Northern Ireland. Headlands around the Irish coasts were numbered and highlighted in order to aid Allied navigators and during the blitz of Belfast, de Valera allowed the southern Fire Service to cross the border to give assistance. 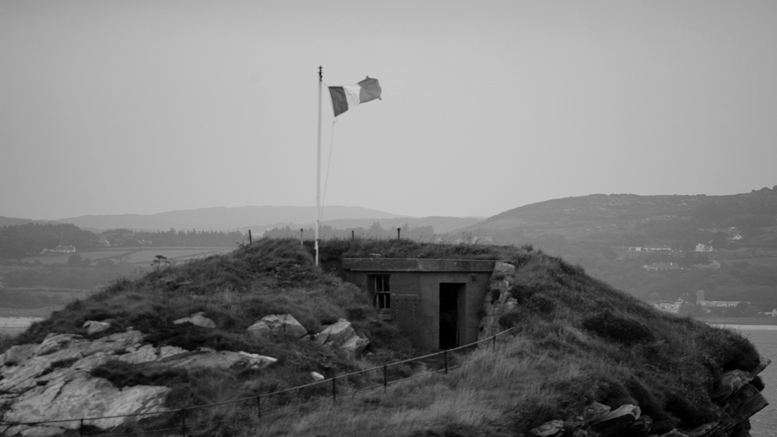 German spies were hunted down and jailed and in the latter part of the conflict, the RAF was allowed to erect radar posts on Irish territory. Another move made by de Valera was the introduction of internment without trial. He knew that the IRA could sour things up so he moved against them to such a degree that the organisation was broken. During these times six IRA men lost their lives on the gallows. One criticism of de Valera is that in April 1945, he approached the German Ambassador to offer his condolences on Hitler’s death. In his defence it must be said that he was following protocol and it was a repeat of his visit to the American Ambassador earlier in the month when Franklin D. Roosevelt passed away.